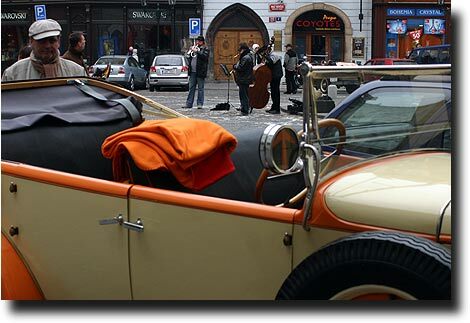 Prague is certainly a fun place to be, and the street entertainment arranged for the tourists reflects that. I noticed the amount of stuff for sale on my earlier visit to the city, and ran into some familiar sights this time. 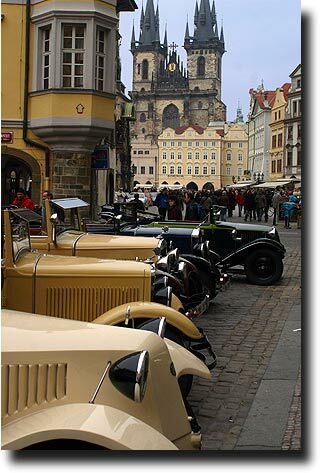 All around town I saw these convertible old cars driving people on tours, and one afternoon by the Tyn church I saw them all lined up and ready for business. Hanging out (behind the driver with a matching orange scarf!) was a band wailing away on a Dixieland version of "Sweet Home Alabama." 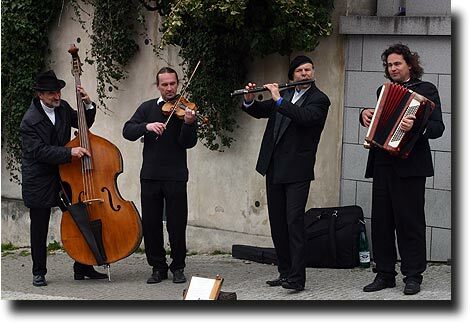 Up by St. Vitus cathedral, I ran into a different sort of music making. 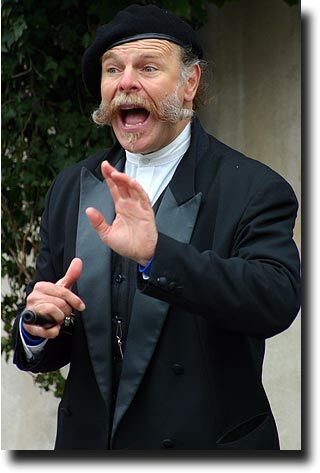 There a four member group mixed gypsy music, classical melodies, and story telling to keep large groups of visitors entertained. 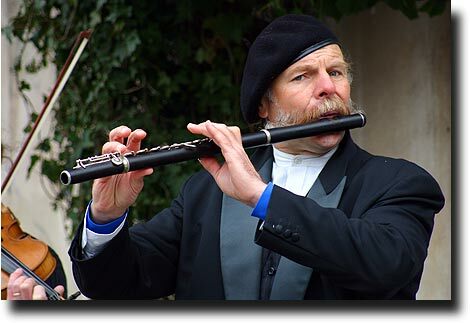 I was most entertained by the looks of the flautist's mustache - like something out of a movie! !